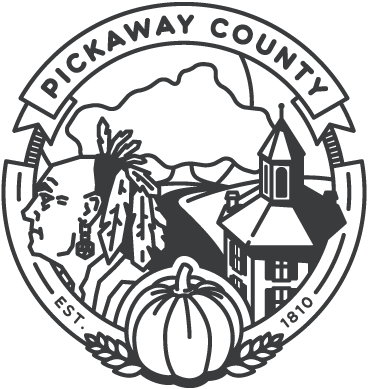 Jan Michael Long is the Probate and Juvenile Judge for Pickaway County, Ohio serving in his fourth term in office. Prior to his election as judge in 1996, Jan Michael Long was State Senator for the 17th District of Ohio. He was elected to the State Senate in 1986, where he represented at various times the counties of Athens, Gallia, Jackson, Lawrence, Meigs, Pickaway, Ross, Scioto, and Vinton. As a judge, he is actively involved in many statewide judicial activities. Judge Long is a past Chairman of the Board of Trustees of the Judicial College of the Supreme Court of Ohio. He serves on a number of Committees of the Ohio Judicial Conference, including co-chairman of the Legislative Committee, co-chairman of the Probate Law and Procedure Committee, member of the Juvenile Law and Procedure Committee and Executive Committee of the Ohio Judicial Conference. Judge Long is also one of the members of the first class of Fellows of a unique national judicial education program known as ASTAR. This program, (Advanced Science and Technology Adjudication Resource), provides judicial educational programs across the nation to judges covering numerous topics involving advanced science and technology issues. Judge Long is the current President of the Ohio Association of Probate Judges and serves as a liaison between the Probate Judges Association and the Ohio State Bar Association Estate Planning, Trust and Probate Law Section. As an educator, Judge Long has been an Adjunct Professor for the Columbus State Community College, teaching courses in Probate Practice and Procedure, Criminal Law, Juvenile Procedure and Government and the Law. As a member of the Ohio Senate, Long was elected as Assistant Minority Whip and served on many Standing Committees, as well as Special Select Committees. He was a member of the Finance, Judiciary, Agricultural, Transportation, and Education and Retirement Committees. Additionally, Long served on various Select Committees, including the Select Committee to Study School Funding, Children’s Trust Fund Board, Senate Task Force on Drug Strategies, and the Senate Tort Reform Committee. Before his election to the Ohio Senate, Jan Michael Long served as Administrative Assistant to U.S. Congressman Douglas Applegate, Assistant Prosecuting Attorney for Pickaway County, Assistant Law Director for the City of Circleville and as the Village Solicitor for Commercial Point and South Bloomfield. He was also an Administrative Aide, Legislative Intern and Page in the Ohio Senate in the mid-1970’s. Additionally, Judge Long is active in his community as a former member of the Board of the Pickaway County Community Action Agency, member and Past President of the Circleville Sunrise Rotary Club, a former member of the Pickaway Branch of the American Red Cross and Pickaway Branch of the YMCA. He also is a member of the Ohio State and Pickaway Bar Associations. Judge Long is a graduate of The Ohio State University, with a Bachelor of Arts degree in Political Science and a Juris Doctorate degree from Capital University Law School. The Juvenile Court is a court of records and it is a division of the Common Pleas Court. Cases heard in Juvenile Court include: Unruly, delinquent, abuse, neglect, dependent and traffic. The court also hears adult cases which include: Failure to send a child to school, contributing to the delinquency of a minor and endangering children. The Probate Court administers proper distribution of the assets of a decedent (one who has died), adjudicates the validity of wills, enforces the provisions of a valid will (by issuing the grant of probate), prevents malfeasance by executors and administrators of estates, and provides for the equitable distribution of the assets of persons who di intestate (without a valid will). The court also handles cases of guardianship, adoptions, name changes, and the settlement of claims of minors, among others.